The Kingston Trio is an American folk and pop music group that helped launch the folk revival of the late 1950s to late 1960s. The group started as a San Francisco Bay Area nightclub act with an original lineup of Dave Guard, Bob Shane, and Nick Reynolds. It rose to international popularity, fueled by unprecedented sales of LP records, and helped to alter the direction of popular music in the U.S. The Kingston Trio was one of the most prominent groups of the era’s pop-folk boom that started in 1958 with the release of their first album and its hit recording of "Tom Dooley", which sold over three million copies as a single. The Trio released nineteen albums that made Billboard’s Top 100, fourteen of which ranked in the top 10, and five of which hit the number 1 spot. Four of the group’s LPs charted among the 10 top-selling albums for five weeks in November and December 1959, a record unmatched for more than 50 years, and the group still ranks in the all-time lists of many of Billboard’s cumulative charts, including those for most weeks with a number 1 album, most total weeks charting an album, most number 1 albums, most consecutive number 1 albums, and most top ten albums. In 1961, the Trio was described as "the most envied, the most imitated, and the most successful singing group, folk or otherwise, in all show business" and "the undisputed kings of the folksinging rage by every yardstick." 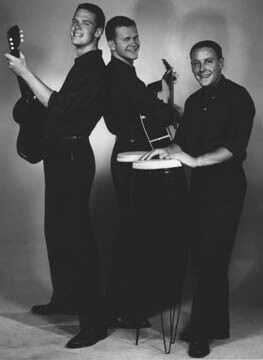 Music historian Richie Unterberger characterized their impact as "phenomenal popularity", and the Kingston Trio’s massive record sales in its early days made acoustic folk music commercially viable, paving the way for singer-songwriter, folk rock, and Americana artists who followed in their wake.